An Orphan, Lost and Found! 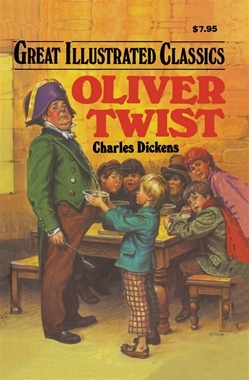 Oliver Twist is a poor orphan boy cruelly treated in the public workhouse. Pennyless and hungry, he runs away to London, only to fall into the clutches of a gang of thieves and pickpockets led by the master criminal, Fagin. Befriended by a man robbed by the gang, Oliver ultimately learns his true identity and gains a home, a fortune, and a family!